How is Brick Weed Made? Brick weed is one of those things that you will often hear about from people who have years of experience in using cannabis. It’s the proverbial rock of ages. At the moment, brick weed seems like something that most of the new generation cannabis users cannot really understand, especially when you consider the fact that more of them barely know about it. For this reason, brick weed is not as popular today as it was back then. Chances are high that most of the current types of cannabis users have never had the chance to try brick weed. However, brick weed is one of those quality cannabis products that you have to learn how to make and probably give a try. So, what really is brick weed, and what is it all about? In the simplest terms, brick weed is just cannabis that has been compressed into small bricks. The reason why it was popular back in the day was because of the legislation. Cannabis was and is still categorized as a schedule 1 drug by federal law. However, a lot of states have since made it legal within their boundaries, and subject to specific conditions. That being said, brick weed has been very popular as a way of smuggling marijuana into the US through the Mexican border back in the day. The reason why weed was made into blocks was to make it easier to transport. This was especially before people started cultivating it in the 1970s and the 1980s. Even with all the nostalgia behind brick weed, it’s still not a subject of history. 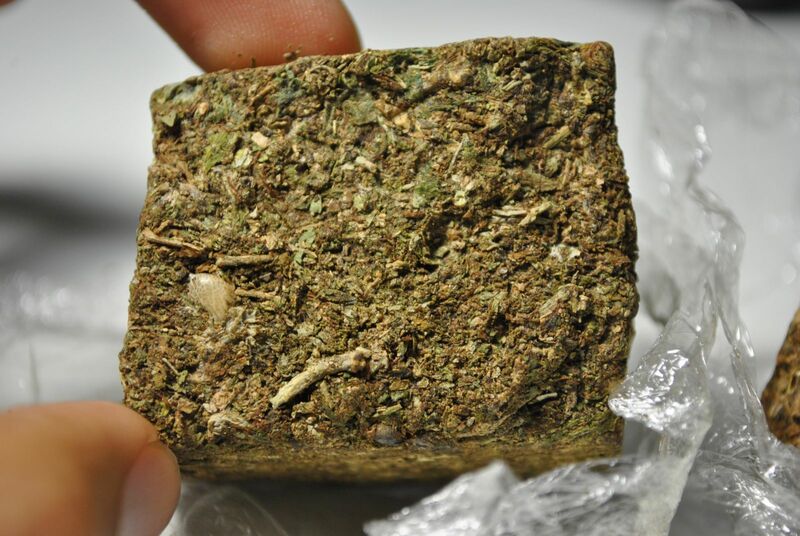 In fact, brick weed is very much popular in Asia, and majorly Central and South America. The production of brick weed is very simple. There’s no curing or trimming of the buds, especially when you compare it with the buds that you find in stores that sell weed these days. Once the product has been harvested, it goes through a drying process, and using a hydraulic press, it’s pressed into the bricks we see. One of the reasons why brick weed has always been popular, especially with the people who remember having used it, is because it’s usually produced from some of the finest quality cannabis plants. The seeds from which brick weed are grown are some of the best. Even the way the plants are grown allows them enough room to bloom and deliver a quality product. Why is Brick Weed a Dying Breed? Since most young weed users barely know about brick weed, it’s important to understand the reason why this phenomenon is only referred to in a historical sense. First of all, one of the reasons why brick weed became less popular was because a lot of people learned that they could grow weed in their own. This made things easier for them, and they no longer had to rely on the product they had to source from elsewhere. In fact, people even started growing weed in their houses. Secondly, the fact that a lot of states and countries are making weed legal means that there’s no need to keep compressing it for transportation.